One of the tings on my bucket list has been to go to the Upper Peninsula of Michigan and pick cherries. I have bought dried tart cherries from American Spoon Food‘s catalog for years. 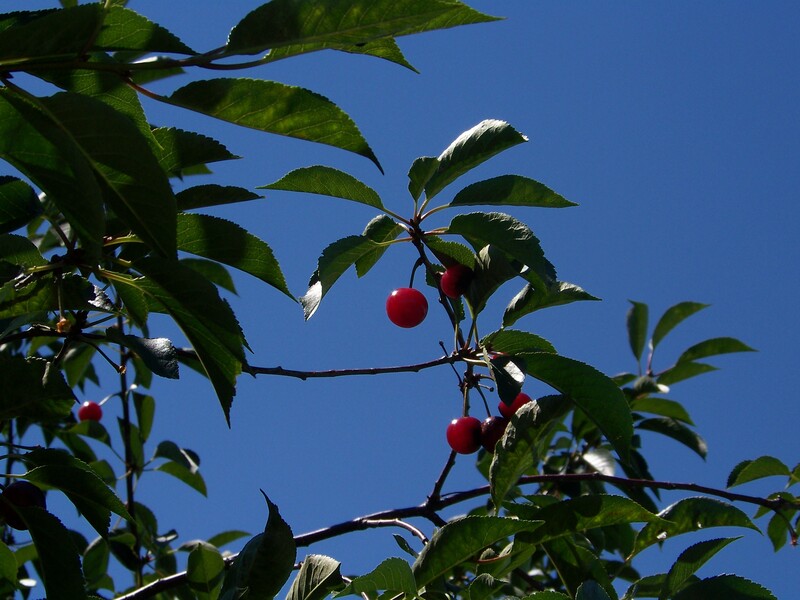 The July 4th weekend is the Cherry Festival. Needless to say, lots of people have made the cherry festival and the U.P. an annual trek, much like lobster season for Floridians. Getting a decent and economical hotel for the holiday weekend was not possible. 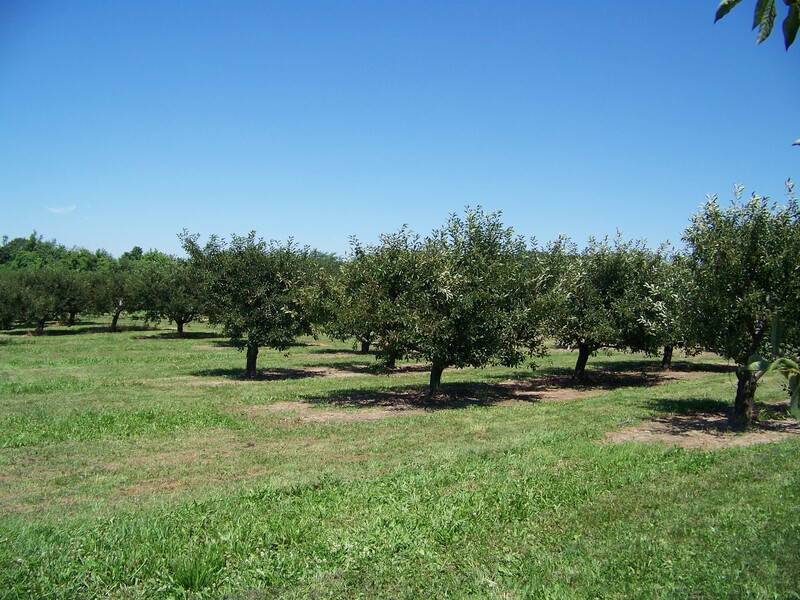 So….it was a nice discovery that there are other cherry orchards in Illinois. 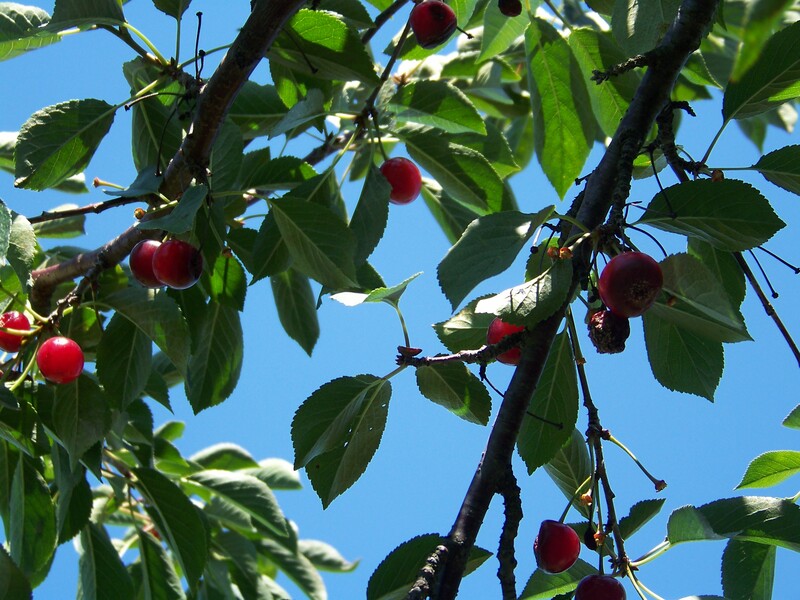 On Saturday, I went with friends to The Harvest Time orchard and did U-pick cherries. Because there had been a late April freeze, the harvest was microscopic compared to normal, but we still managed to get enough sour cherries to make 8 half pint jars of sour cherry preserves. I like to have sprained something climbing up into the interior of the cherry trees to pick berries. I can imagine a child spending far too much time climbing into the trees and gorging myself on cherries. Plus, the Harvest Time Orchard makes fresh, hot donuts. They were to die for. 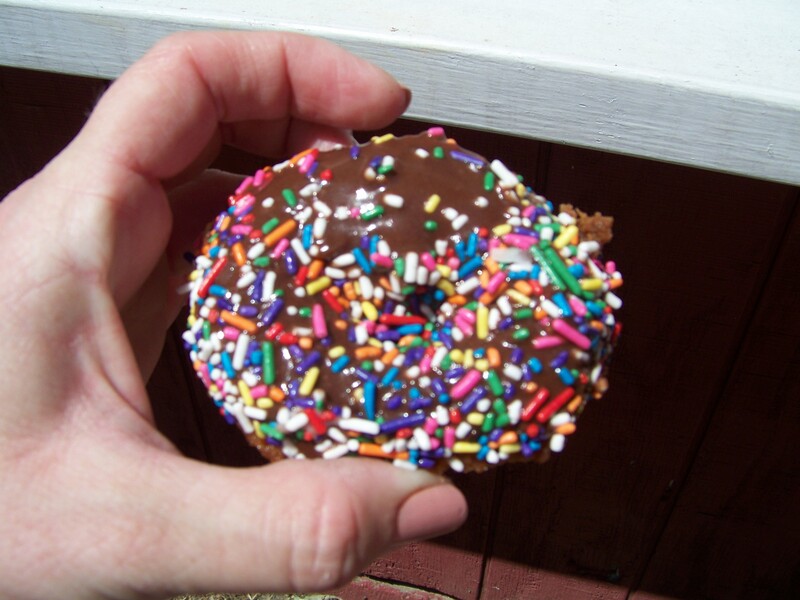 Hot cake donuts with chocolate frosting (also hot) and sprinkles or shredded coconut. Heavenly. My next foodie trip on my bucket list is the Gilroy Garlic festival in California.